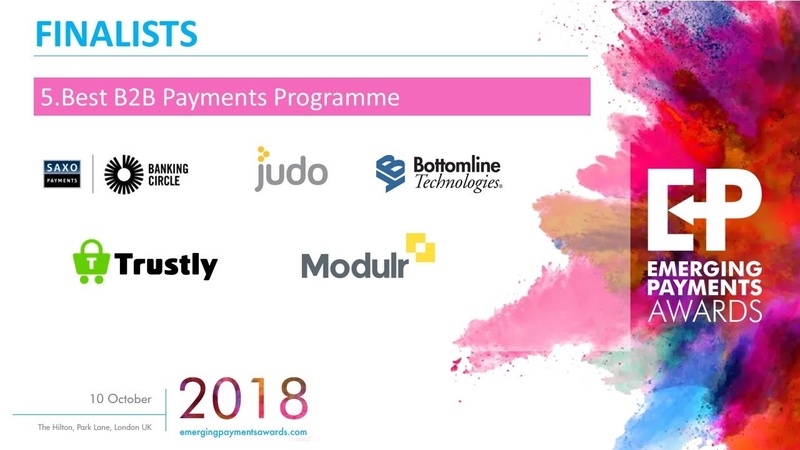 Modulr has been shortlisted across four categories at one of the payments industry’s most coveted competitions, the Emerging Payments Awards. 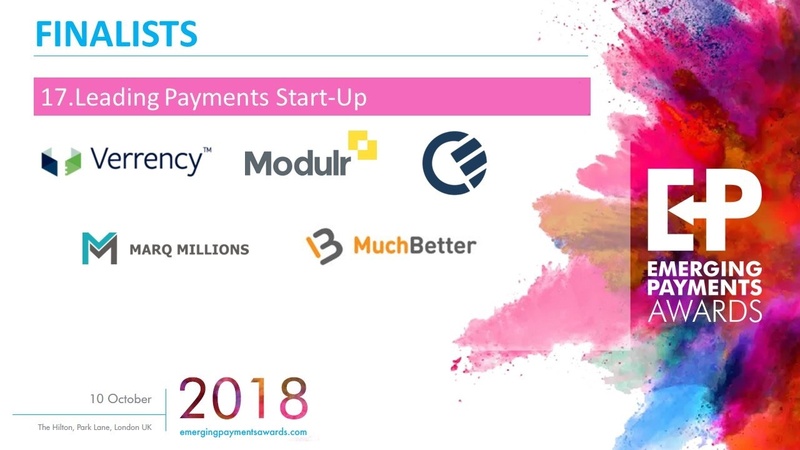 The finalists were announced at Tuesdays night’s Emerging Payments Association Summer Party and include the likes of Metro Bank, Mastercard and Klarna. 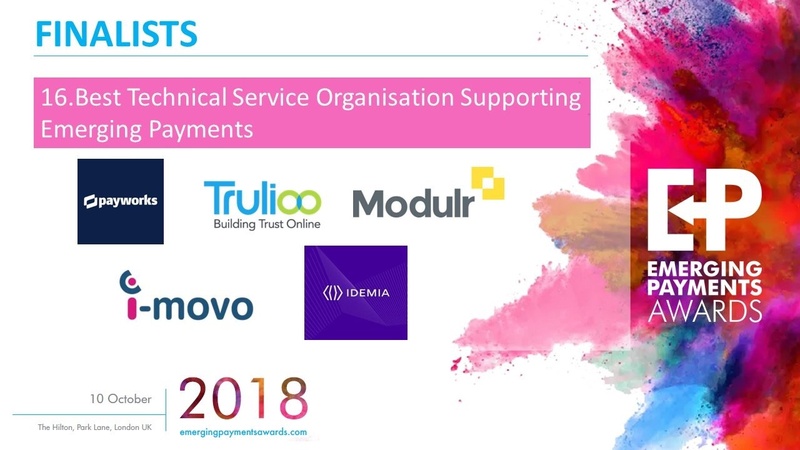 Modulr is in the running for Best B2B Payments Programme; Best Technical Service Organisation; Leading Payments Start-Up; and the top prize of the evening – Leading Emerging Payments Organisation. 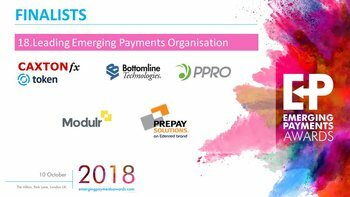 The international panel of 32 judges hail from some of the most recognisable brands in the payments sector, and include industry heavy weights Dave Birch and Neira Jones. Modulr was picked out for its simple API, 24x7 availability, instant accounts and exceptional developer support – making it easy to build payments into the heart of any business. The winners will be announced on 10th October at London’s Hilton Park Lane in front of 700 of the industry’s most senior opinion-formers and decision-makers. Interested in joining us there? See full details here.